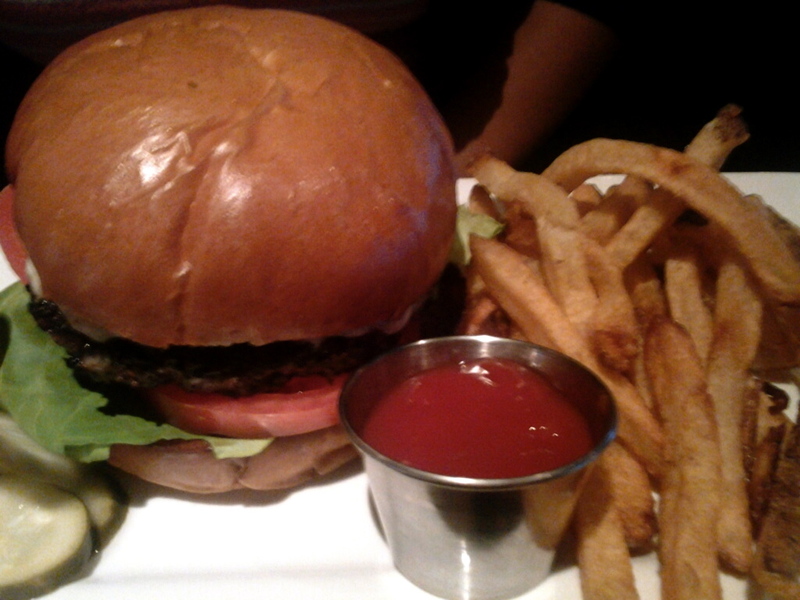 *Devoured the most succulent juicy and fat cheeseburger with bun and all. Can I tell you that this must be what being in heaven is like. I can die today and be the happiest dead 50-year-old! *Congratulated Diana Nyad on her epic swim which occurred on the same day that I reached my destination (my 50s)! Her swim (not unlike my swim), should be an inspiration to all to never give up! 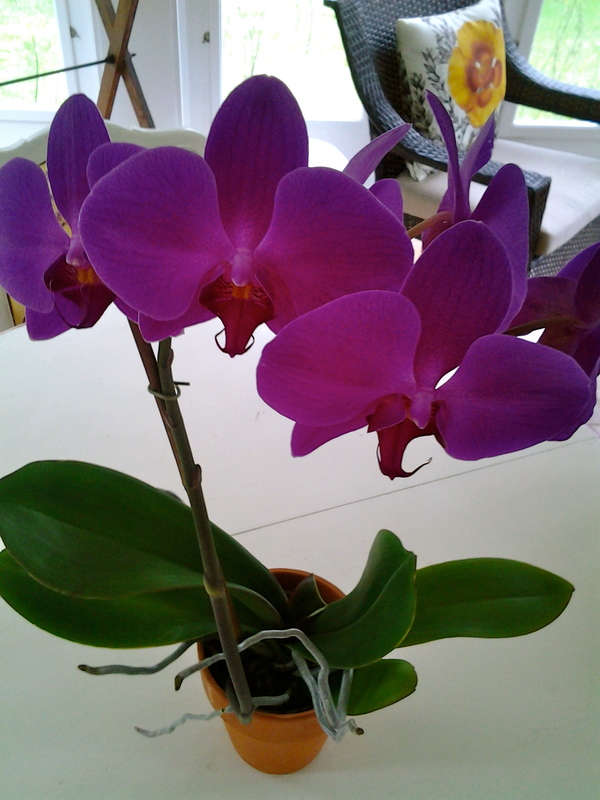 *Enjoyed the most beautiful exotic orchid I have ever seen – it being a birthday gift from an amazing and dear friend. *Had to pee a lot. Nobody warned me that 50 meant wee wee!! 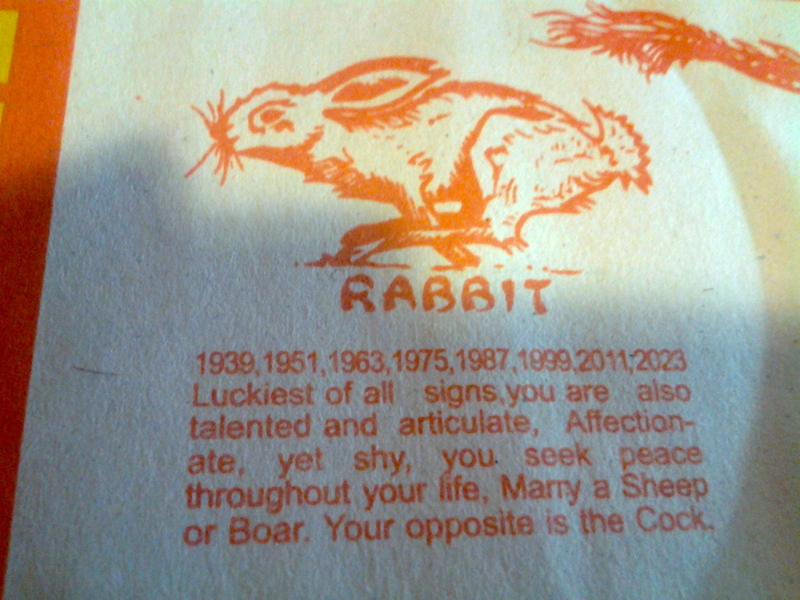 *Found out that I am a Rabbit, while eating at a new chinese restaurant. And enjoyed their killer Mai Tai! *Tricked my family and friends and put fake piercings all over my face – including a bull ring in my nose! They looked so real – I highly recommend doing this. It was interesting to see their reaction and how uncomfortable they felt to even look at me. My poor mom thought I had finally fallen off the edge and was ready to hospitalize me. LOL. *Gotten myself a new giant piece (age 50 and over) jigsaw puzzle. *Sang at the top of my lungs – while using the facilities. *Received a SPECIAL “gift” from another dear friend that I cannot really talk about. Just trust me, it will help with my RA. *Gotten lot’s of kisses and hugs and lovin’ from wonderful people. I leave this weekend for a girl’s getaway with 3 other crazy Latinas and then the following Sat “an event” is taking place in my honor. 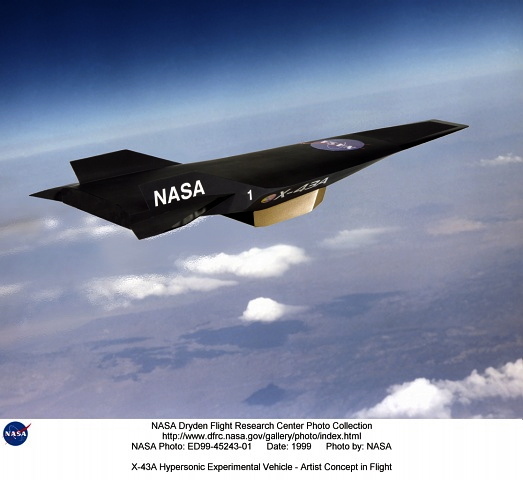 If you had told me all of this before, I would have skipped all that swimming and would have flown on the fastest jet – to my 50s! Except that, since you’ve been gone (a whole 3 days) my dearest 49, I’ve been informed that I need a root canal! NOOOOOOOOOOO! I LOVE the piercing prank. Bravo BHC, Bravo. 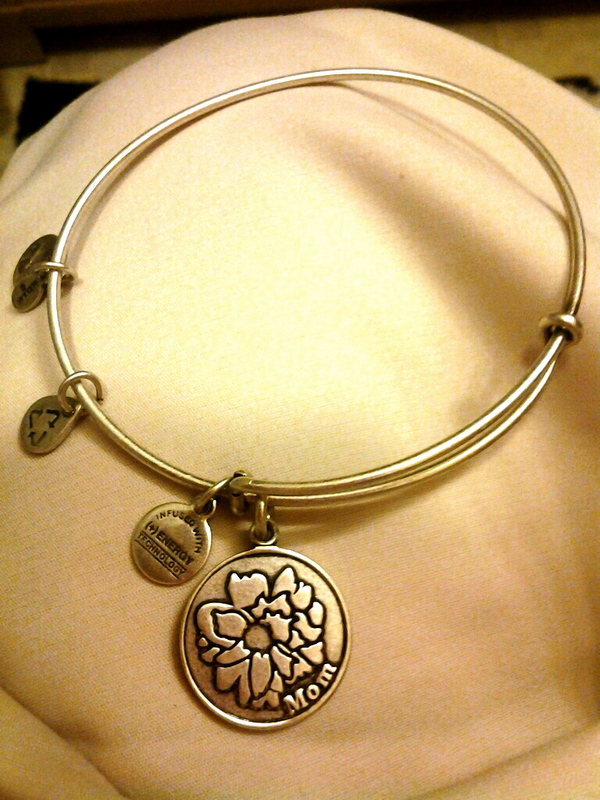 I also love the Alex & Ani bracelet — yay Rhode Island and local sustainability! Other than the root canal, it all sounds fantabulous!! And that orchids is a beautiful and easy one to take care of. I’ve got one that must be around 5 years old by now. It blooms for about six months, lays dormant for about 4 or 5 months, and cycles around again. Welcome to my world. Now get out there and do anything you want because you are at an age when you no longer care. 🙂 Have fun with those girlfriends Chica. I wish we had a photo of the fake piercings…………..
And the best part is, you can do fun stuff every day! Way to keep up the celebration. Don’t forget, 50 is bifocal wearing, pee when I laugh old. (LOL) Not to mention the beauty of menopause to look forward to. Oh, dear. I can’t handle all that excitement to look forward to. Trying to deal with the root canal and the wee wee thing. Thanks for the heads up. Okay, I think we need to boot PFSTARE out of the pool! Just kidding PF, you can stay, even though you’re only 41! I’m so happy you’ve been having a good time, Maria! Ugh, a root canal, sorry to hear about that. 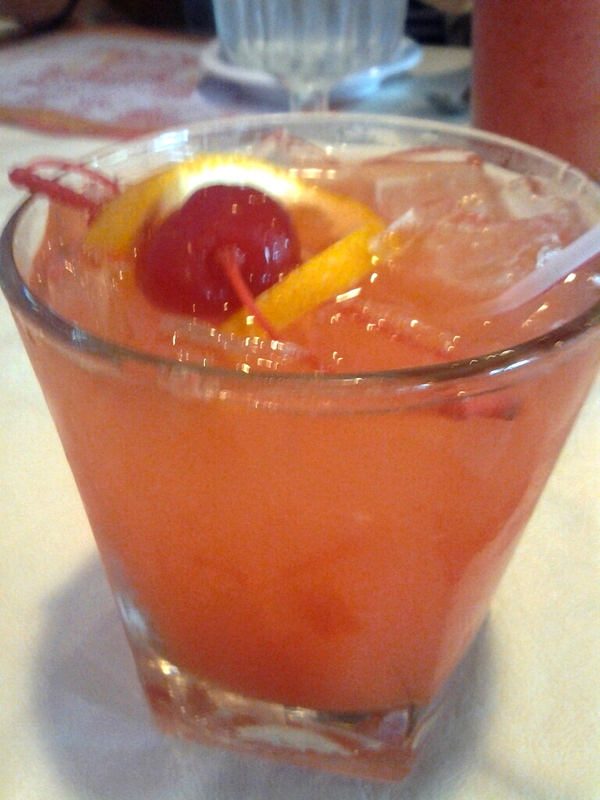 I’m prescribing a couple of those yummy looking Mai Tais after the procedure. Keep the party going, Maria…you deserve it! Yes Jill. I already yelled at her for being 41. 🙂 WHAMMO! I turn 50 and something immediately goes wrong! This sensitive tooth thing has quite the “nerve” to be bothering me now during my celebratory stage. I thought I had to worry only about my Vagus Nerve but now my root nerve is damaged! Oh, Joy! I think I’m going to need a lot of Mai Tais and a lot of the “special” gifts my friend gave me to numb the pain. Nerve pain in a tooth is the worst. I hope you get it taken care of soon. You would laugh if you could see our garage, it looks like an art gallery. We do a lot of puzzle that are actual pictures of scenery from various countries. We’ve glued them and hung them on the walls throughout the garage. We’re obsessed with puzzles! 🙂 I can’t wait to get the cupcake puzzle. Working a puzzle is very relaxing for me. Take care of that tooth! Thanks, Carrie! I am definitely stretching it and it’s stretching me out too! I’m exhausted! You all must be exhausted just from reading about my 50s. “Can’t brickhouse get over it already?? ?” LOL. No WAY! I reckon I’ll do the same thing when I get there too. Why stop when you have this many people partying with you? 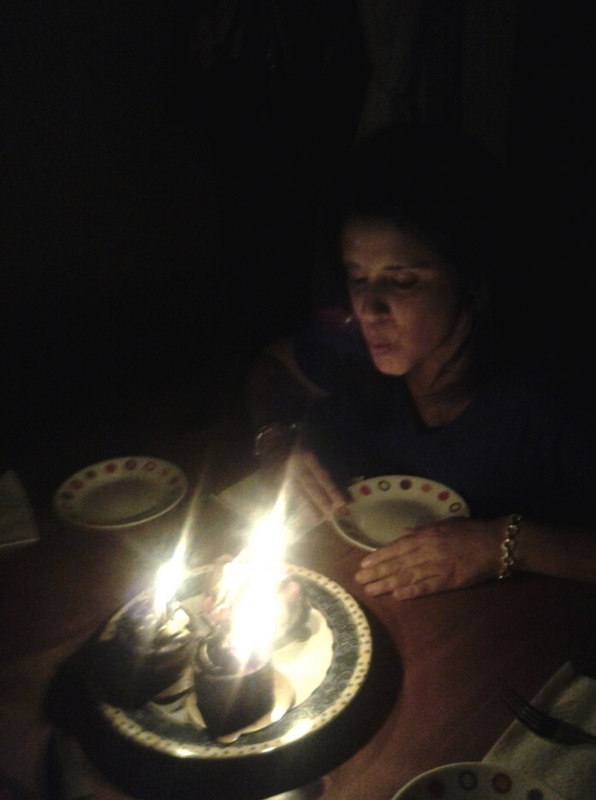 I am so glad that turning fifty was a lot of fun for you. I love that you had the fake piercing. You are a hilarious! Happy belated birthday! My poor mom is still recovering from the picture I sent her of the piercings. 🙂 I guess I won’t be doing any of that any time in the near future. I couldn’t help but think of the song ‘Cheeseburger in Pardise’ when I saw that picture and the way you wrote about it. Good for you! Other things..they have pills for the wee-wee, I know how you like to take a pill…where can I get some of those fake face peircing gadgets…and 4 crazy Latina women loose in New England? I’m on my way! ~Happy 50th Birthday Week! I’m glad to hear that you’re taking 50 so well…or at least pretending to be taking it so well! Have fun!